NEW pictures have been released of the set of The Nine, the BBC’s new Scottish news programmed. The hour-long programme will launch on the new BBC Scotland channel in February, bringing national and international news to audiences across the country. Presented by Rebecca Curran and Martin Geissler, it will be broadcast from BBC Scotland’s Glasgow headquarters. Hayley Valentine, Editor of The Nine, said of the plans for the programme: “The Nine aims to be a world class programme combining international, UK and Scottish news with the needs of a Scottish audience at the heart of everything we do. “We hope to bring the audience the best of the BBC both from Scotland and around the globe, plus some exciting new on screen talent. 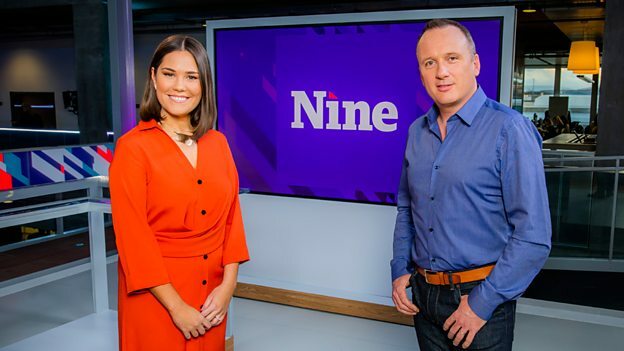 As its title suggests, The Nine will air from 9pm Monday to Friday, co-presented by Rebecca and Martin for four days a week. Laura Miller and John Beattie will host the show on Fridays. There will also be a 15-minute bulletin on Saturday evenings at 7pm followed by a 45-minute review programme presented by Fiona Stalker and Nick Sheridan. Rebecca Curran says: “I am thrilled to be a part of this programme. It is an amazing opportunity for me personally and professionally, at what is such an exciting time for broadcasting in Scotland. Martin Geissler adds: “It’s been fascinating watching The Nine grow from concept into reality. What we’re offering is something completely different, a bold new programme with its own unique character and personality, covering international news in a style that’s accessible to everyone. 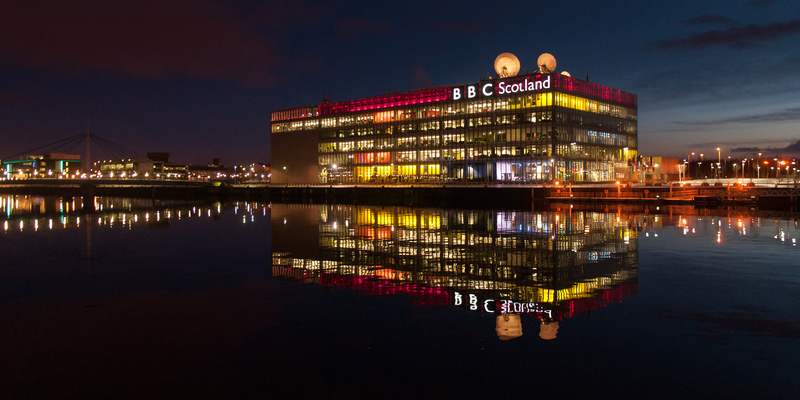 The Nine is part of the BBC’s investment in a new channel for Scotland. 80 new jobs in news services have been created across the country both in front of and behind the camera.